iPhone XS Max purchased in December will be covered by 24 month warranty, protecting your purchase for longer. 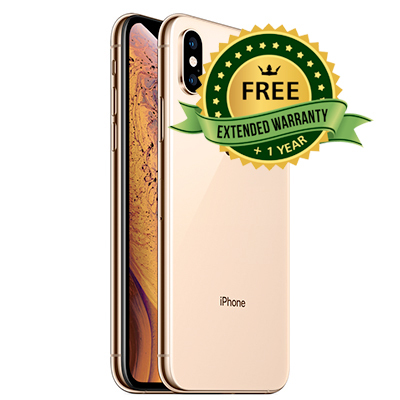 Constructed from the most durable glass in any smart­phone, the iPhone XS is sealed and precision-fitted with a surgical-grade stainless steel band to create a more water-resistant enclosure (up to 2 metres for 30 minutes.) iPhone XS even resists spills from coffee, tea, juice and more. Built from exceptional materials, like surgical-grade stainless steel, aerospace-grade aluminium and the most durable glass in the industry the iPhone XS provides a new level of water resistance. Enjoy true beauty on the 6.5” custom OLED display, with 2688×1242 resolution and 458 pixels per inch. The impressive “Super Retina” HDR screen is the biggest ever on an iPhone packed into a similar device size to the XS. The impressive all-screen design with Custom-built OLED panels gives you a large, beautiful canvas and an HDR display with the industry’s best colour accuracy, true blacks, and remarkable brightness and contrast. Capture a picture that is worth a trillion operations on the iPhone XS Max's dual 12MP rear cameras that integrates the ISP, the Neural Engine and advanced algorithms to unlock new creative possibilities. You’ll enjoy incredible photographic features including Smart HDR, Bokeh and depth control, more low light detail and zero shutter lag. Capture your best selfie with the 7MP True Depth front facing camera, with all new Depth control and Portrait lighting. Stay secure with a glance thanks to the most advanced Face ID yet. Security is simple when your face is your password and Face ID does so much more than unlock your iPhone. Forget about typing usernames and password, now all it takes is a look, as Face ID works with the apps you already use. The advanced Secure Enclave and new algorithms make Face ID even faster and face ID uses advanced machine learning to recognise changes in your appearance for a smarter experience. 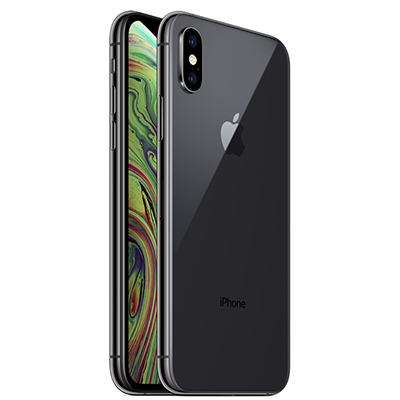 Enjoy a whole new level of intel­ligence on the iPhone XS Max thanks to the integrated A12 Bionic chip, with Apple’s next-generation Neural Engine to deliver incredible performance. It uses real-time machine learning to transform the way you experience photos, gaming, augmented reality and more. Apple-designed CPU and two performance cores tackle heavy computational tasks, as four efficiency cores take on everyday tasks. The new 4 core GPU brings big gains in graphics performance.